We are Going to Save You Money on Used Auto Parts at Bishop's! 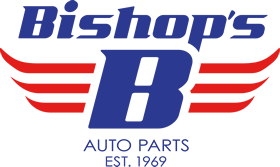 If you’re looking for used auto parts online, look no further than Bishop’s Auto. 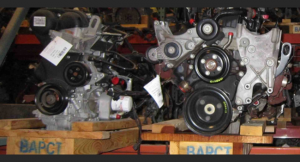 Our facility located in Middletown, Connecticut offers premium OEM recycled auto parts from over 40 makes and hundreds of models. Our inventory includes tens of thousands of used auto parts and used auto body parts in stock, ranging from transmissions and engine parts to full frames and headrests. Our salvage car parts come from a network of yards across the Northeast, and new inventory comes in every day. Whether you’re just looking to save a few bucks on a repair for your commuter car or a gear-head hobbyist who buys car parts regularly, the odds are we have the parts you need in stock. If we don’t have what you are looking for, get in touch and we can find it in no time. and much more. Bishop’s also lets you shop and compare used cars online, saving the time and money you might spend driving from lot to lot or taking chances with cars from the classifieds. Bishop’s Used Auto Parts belongs to several local and national organizations including the Automotive Recyclers Association and the Better Business Bureau. All items are shipped safely via UPS or FedEx. We are proud of our reputation and work hard to maintain it by providing quality parts at reasonable prices.